Securing the sub floor of a home to the floor joists properly prevents floor squeaking and ensures bearing strength. 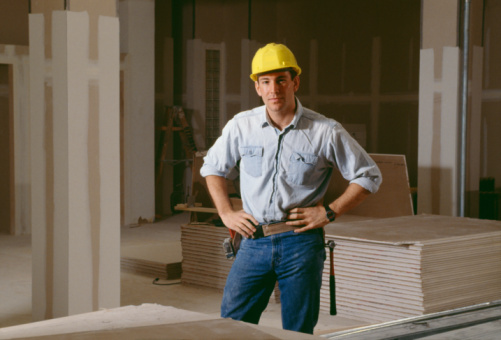 Besides staggering the plywood subfloor seams, screwing and gluing the subfloor down is considered the correct method of installation by construction professionals. Depending on the exposure to moisture, two types of screws are used to secure plywood subfloors. Phillips head galvanized screws are used in many home improvement projects. Steel Screws are designed for interior plywood floors. The self drilling, helical thread design continues about two-thirds of the way up the screw so that the top of the screw has the proper shear strength to avoid plywood crushing and delamination over time. Shear strength refers to the amount of lateral movement the screw can handle before it breaks or shears. The proper steel screw sizes for securing 3/4-inch plywood to the floor joists are #8, #10 and #12 screws. The number refers to the thickness of the screw. Each is available in lengths from 1 1/4 to 3 inches. Typically, the 3-inch variety is used to secure plywood subfloors. Galvanized screws are steel screws dipped in a hot galvanized coating to prevent moisture from rusting the screws. 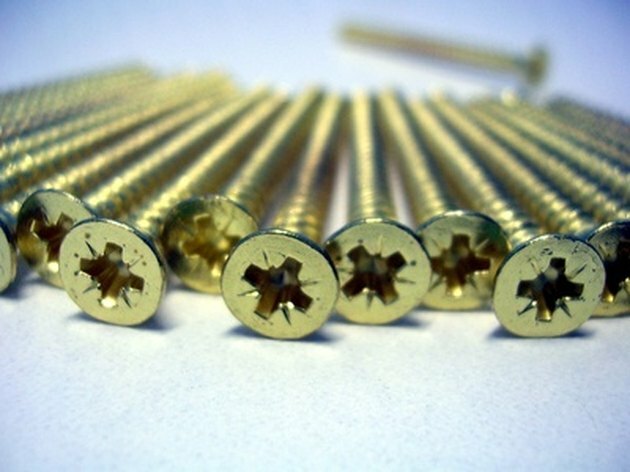 Specifically designed for high moisture areas, galvanized screws are often used on porch floors and any area that the screw attaches plywood to treated lumber. The galvanized coating resists the chemicals that treat lumber that would eat through standard steel screws. 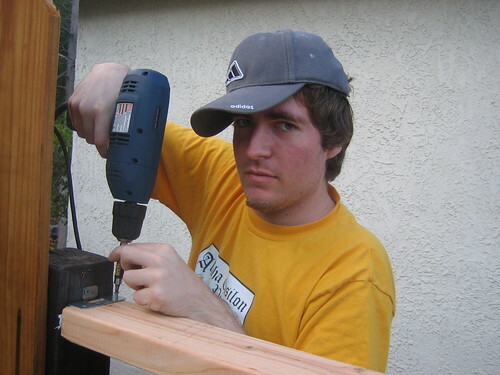 The proper screw sizes for securing 3/4-inch plywood to the floor joists are the same as steel screws. Screw heads have indentations that allow a particular drill head to put torque on the screw, drilling it into the plywood. These are called drives. The three most commonly used drives are Phillips, star and square drive. The Phillips drive screws are the most common but strip fairly easily. The square drive screws allow a much stronger connection between the drill and the screw, giving the installer less problems with installation. Star drives are typical of screws that attach wood to metal as they are the most proficient at preventing stripping of the screw head.